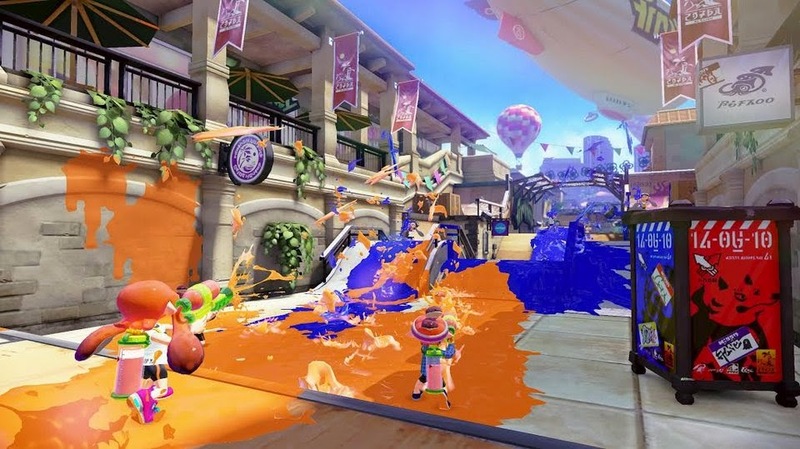 Splatoon is Nintendo's take on third-person squid shooters. Only Nintendo could reinvent the shooter in such a colourful, potentially delightful way. In #Splatoon, due out in the first half of 2015, players take charge of a inkgun-armed cartoon child that can turn into a squid. The four-on-four multiplayer game has players fighting not to take out the opposing team, but to coat as much of the map as possible with their colour ink. The colourful concept doesn't just make the shooter more kid friendly, it also delivers a slew of interesting concepts to an aging genre. With a push of the button you can morph into a squid, swimming quickly through your team's ink along the ground and walls. Swimming in the ink doesn't just vastly increase your speed, it also refills your ink tank. If you hit the opposing team's ink you won't be able to proceed. Even walking through the enemy's ink can be problematic, it's like walking through molasses. While you can take out enemies with your ink guns and ink grenades, the only way you can win a match is by capturing more than half of the map. The GamePad controller provides a constant real-time view of the map, where the characters are and the spread of ink for both teams. The GamePad's map isn't just a great way to track which side is winning, it can also be used to quickly join teammates. If a player taps a friendly on the map, their character rockets into the air and lands next to them, ready to join in the fight. The concept is captivating, the visuals stunning, but unfortunately, the controls leave a bit to be desired. That's in part because the game seems to require players to use the GamePad's gyro sensor to look around and aim. Our short time with the game was exhilarating, but having to aim with the controller, tilting it left, right, up and down to spray an area with ink, took a lot of fun out of the game. Perhaps if enough time is spent adjusting to the motion controls, that won't be a problem, but for now this shooter's controls felt very reminiscent of those Wii shooters that required motion controls.